Below this section you find pre-owned Arri camera's for sale. ALEXA Mini Body with preinstalled licenses for full 4:3, MXF/ARRIRAW and Open Gate functionality. Carton boxes and Quick Guide. - RMB-4: 19mm Rod mounting bracket. Gold Mount battery mount and PL lens mount. with Alexa SXT license bundle, Gold Mount battery mount and PL lens mount. with Alexa Xtreme Bundle and Alexa Plus 4:3 Bundle, Gold Mount battery mount and PL lens mount. Alexa XT 4:3 sensor and highspeed licence. Private owned with 1110 hours. Sensor Mode: No Open Gate upgrade! Battery Adapter Back for 24V V-Lock batteries! 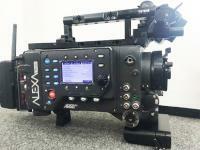 Arri Alexa Plus body in PL, ex-rental in good condition. Below this section you will find Sony camera's for sale. Sony F65, Sony F55, Sony F5, Sony F3. Sony F65 Camera package for sale. Epic-W, Red Scarlett, Red One, Red MX. 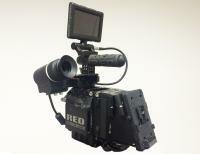 DSMC2 RED 8K EPIC W Heliumsensor 166 hours excellent condition. 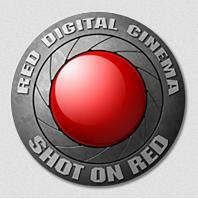 RED Epic Helium 8K for sale, new in the box. 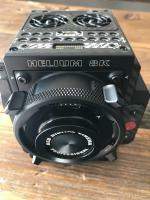 Red Epic-W Helium 8K S35 Brain, new in case. with standard OLPF and power supply. DSMC2 sidekick, new still sealed in the box. DSMC2 V-lock I-O expander, new still sealed in the box. Action Products Rear Adapter Plate Protheus + Red Action Products Powermodule Electra V-Mount Plate Top Handle 2-parts incl. side Finder attachment Red touchscreen LCD 5"